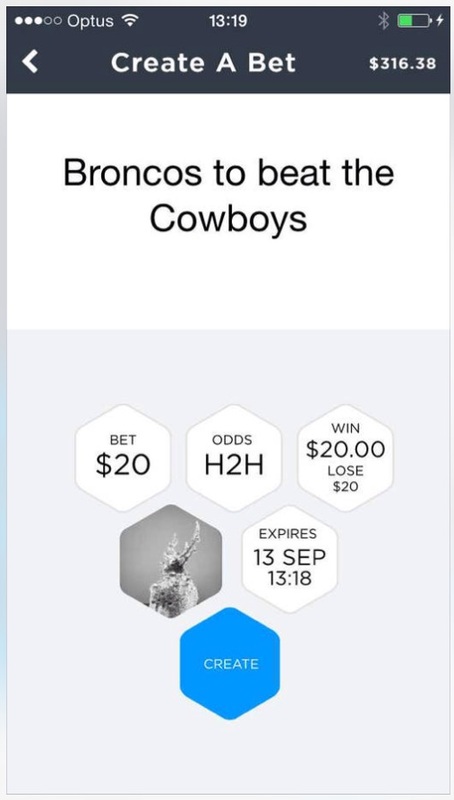 A BRISBANE startup has put a new spin on the peer-to-peer economy, with an app that streamlines social betting from punter to punter. Presenting at Bond University's Gold Coast Demo Day as part of Global Entrepreneurship Week, Puntaa hedges against friends who don't pay up after losing a handshake bet. From who can kick the most goals in a game at the park to guessing the winner of a reality show, the wagering platform allows users to make custom bets with friends, set the amount and odds, share on social media for bragging rights and transfer the winnings straight from a mobile. Founded by Nick Heaney, Jordan Oudejans and Damon Oudejans (pictured L-R), the startup was accepted earlier this year in the River City Labs Accelerator, run in conjunction with River City Labs and Telstra's muru-D program. Heaney says Puntaa steers clear of the negative connotations associated with gambling by delivering a socially responsible model. "If you look at the traditional online bookmaker model, they're basically targeting losing punters and the only way they make money is if the punter loses at the end of the day," Heaney says. "What we do is let friends bet with each other and that means we can drive more socially responsible behaviour and a far better user experience." With backgrounds in law, resources and horse training, the co-founders came up with the concept through friendly banter while having a flutter. After researching case studies and interviewing friends, they discovered people would keep track of bets using spreadsheets, Facebook Messenger and bank transfers. Puntaa combines the entire process in a single app, including a tailored e-wallet. The result is a payout ratio of more than 95 per cent, with people transferring money into the app which is held in escrow until the bet's outcome. Heaney says Puntaa aims to capitalise on a nation of betters, but will target the two million Australians already wagering. "Australia is the fifth-biggest gambling market in the world, but more importantly there's an ingrained culture of social betting here," he says. "We did surveys of our token market and the vast majority is already involved with handshake betting but, more importantly for us, if there was a tool available to make it more seamless or enjoyable they would use it." Puntaa takes a 5 per cent commission on each successful bet, and Heaney says if they can capture 100,000 users it would conservatively equate to millions in revenue in Australia alone. The app has been live on Android for six weeks and successfully launched in the App Store two weeks ago, with consistent growth in registrations.